Welcome and thank you for stopping by Mikels & Jones Properties located in Raleigh, North Carolina! Founded in 1989, Mikels & Jones Properties has evolved into a comprehensive full service real estate and asset management company, whose goal is to serve our clients and increase the value of owners’ assets by aggressive leasing and diligent property management. A team oriented approach by our principals, brokers and managers has made Mikels & Jones Properties unique to the local market. Our professionals possess a diverse range of real estate expertise and have the skills to deliver unsurpassed results to the business client. Call our office or email to schedule an appointment to discuss your real estate needs. When Terry Mikels and Reid Jones hung their shingle in a commercially zoned house on Falls of Neuse Road, it was slow going at first, each man rolling up their sleeves and doing a bit of everything, including typing and answering the phone. 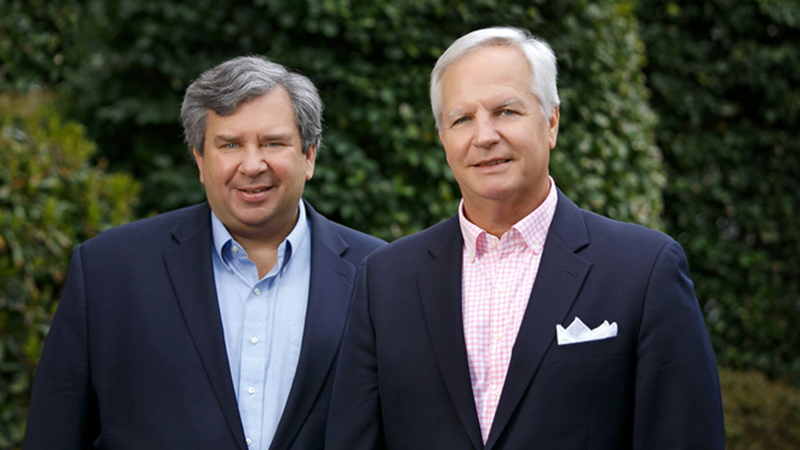 Fast forward to present day, the company is doing something right, with many successful acquisitions behind them, Mikels & Jones Properties has been doing business in the Triangle Real Estate market for 29 years. Says Mikels, “As the city has grown and the markets have grown, you kind of have to try to specialize, to find a niche.” Mikels & Jones Properties provide excellent and prompt service. They understand the market and help you find the right tenants and buyers for your property. Anyone can manage your property but you need someone like Mikels & Jones with their contacts and connections, where any problems are dealt with fairly with quick response time. Terry Mikels found the perfect building for the North Carolina School Boards Association (NCSBA) in 1999. The design/build facility was under construction and we were able to configure the interior to our exact specifications. After we moved into our facility in 2000, his staff successfully marketed and sold the previous NCSBA headquarters building. For the past several years, Mikels & Jones has served as our property manager and consistently handles the myriad of details that keep our facility in top notch shape. Needless to say, I have complete and absolute confidence in the work they do for NCSBA. Edwin Dunlap, Jr., Ph.D. Copyright © 2019 • Mikels & Jones Properties, Inc.